Sunday daytime a few weeks ago I had an unexpected few hours to waste online and I finally got the queue to pop for SoO part one, after a 1 hour 10 minute wait. I am so very late to be just doing LFR Siege of Orgrimar, that it is sort of scary to think about how “behind” I am. It was Jan 19th when the Part One achievement ping’ed on my main character. It gets me thinking that the concept of behind is funny in MMO terms. The folk who are setting or breaking records were done with this patch in Hard mode content months and months ago. The guild (Insidous Nagrand-US) has been doing hard modes for ages, and with two darn healthy 10-man raiding teams they are kicking Garrosh and his cronies in the groin on a regular basis. As a section it is OK. I didn’t have my socks blown off by the strats or by the difficulty. I saw a heap of people die to the HUGE BLACK SWIRLY BEAM in whats-his-name-in-the-middle. I guess it was too tricky that it can go in one of two directions VERY VERY SLOWLY. I kept my well-fed buff through the entire run, which means that I’ve kind of let the noob-DK team down. Anyway, I don’t mind being behind. I’d like some magic wand to make the queue times less than one hour, but I also feel like an absolute troll for even saying that. A player who logs in during the odd blue moon doesn’t like waiting one hour for an LFR? Cry a river rookie-boy. As a wise-crack, but altogether wise guildie suggested – or roll a Tank and man up! 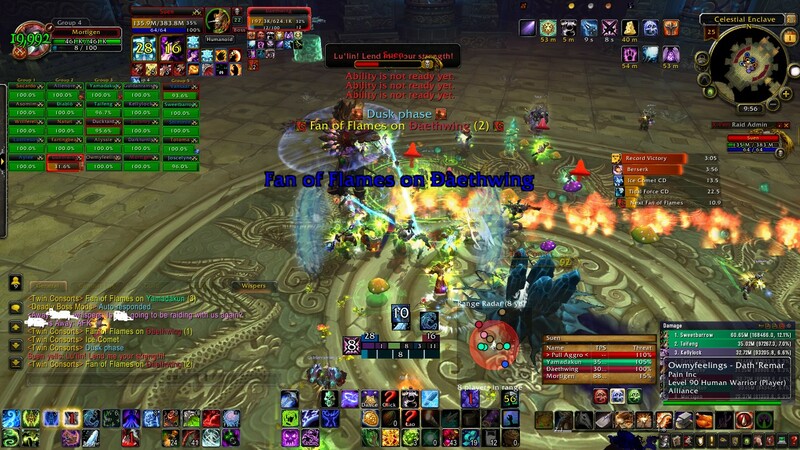 I think the last thing the “LFR community” needs is my DK strafe tanking a Boss as a noob. I’m almost certain that after my Tanking an LFR run for the Lei-Shen fight a few players left WoW in disgust. I could almost taste their tears and hear the breaking keyboards. I love tanking, it’s not that it’s not fun at all, it’s that others don’t seem to love watching me learn. Grin. Happy raiding, you dedicated folks. Very jealous. I’ll see it all eventually. Last night the guildies were one man short, and I was lucky enough to be able to Tank for them. It’s kind of post worth because I could play in a real raid with friends, which happens rarely and also tank. Rare indeed for a player who is more used to standing behind the big-bad and deeeeps’ing, more often in LFR. In around 3 hours which included the special trash boss for the week and also a few bathroom breaks; we killed the first three bosses in Throne of Thunder. Then poked the huge turtle in the eye a few times, but he’s a tad chaotic. First time that I’d died to those swirly floating trolls who kick you off the bridge, shamefully I took an OS trinket for Tanking from a kill, and as I expected these were no Titan Runestones to be seen. It is a shame that these only drop from the last 6x bosses. Once again I learnt a lot about these bosses that I didn’t know, and loved it. Makes me ponder nudging the regular tank in the side and flooding his connection so I get a spot (kidding). As an aside I wonder if gearing a Tank set as priority is a better option for Patch 5.4 than Dps. I don’t think I’ll be able to keep within distance of the regular raiders for gear level in 5.4; but a tank is something when needed by role as much as output. That might mean a set that I can switch with between the raid groups. Ps. Sorry about the title, it made sense at the time. I love a good 25 man roflstomp run, and also can’t help but share my ingloriously poor UI layout. In the screenie below you can see why. I can hardly see much of the screen without my own UI elements getting clogged, and then the amount of malarky in the floor and flying through the air has my character somewhere in the middle of the red fire, green fire, blue beam, and near the grey/blue crystal. I think. This is the twin consorts in Throne of Thunder, or the fight I like to call “Wheeeee, chase the girly swirly fire, opsie! Anyone got a rez, lol”. LFR, Love it. I could probably remove the dps meter, and I should move some of the non-essential buttons on the middle bottom to the right, after moving the stuff on the lower right to some sort of radial menu. But it is LFR and doing 80-90k dps is fine in there. Whine. Every time I use a coin and miss on a reward I feel like I’ve wasted a coin. When I don’t get loot in LFR I get the feeling too. Yes, we should not get gear every kill, and yes I know I’m on a treadmill. Still the system needs to ramp up on rewards, perhaps so that I don’t get another of the same reward. eg. getting a third set of 502 PvE legs from LFR was frustrating. A week later I got a 522 Leg item from Nalak too. Pants! It is funny to think that LFR can grant players “progress”. Strict progression is typically for normal and especially for hard-mode guilds, who are focused not only the hardest content, but also getting through the hardest content faster than their peers. Server rankings, kill times/strats, and sometimes even achievement points are ranked against each other to see who is first, and who is the best. LFR however is generally accepted as being easy, or scrub mode. I ran a lot of LFR this week and was able to kill each boss in the current tier in LFR raids. It took more than the four nominal run through, as sometimes I joined mid way through, or the groups disbanded amid the raid. A small amount of luck goes a long way. Yesterday I got the LFR shoulder token, and today some Pvp boots. Rewards make the loot treadmill less crappy. 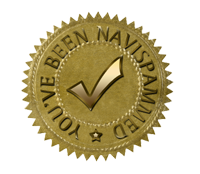 Happy for this week, and hording my Valor points for a while to see what the cool kids buy at Revered rep with Shado-Pan.